Giardiasis is the most frequent cause of non-bacterial diarrhea in North America and in most other places around the World. 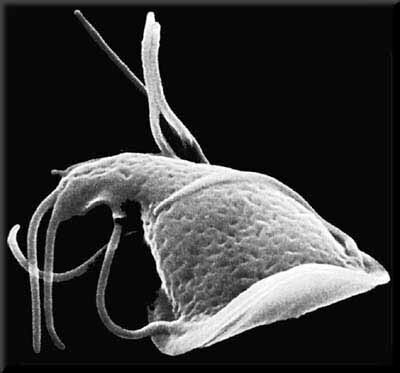 Giardia is an interesting looking critter that attaches itself to the lining of your intestinal wall. 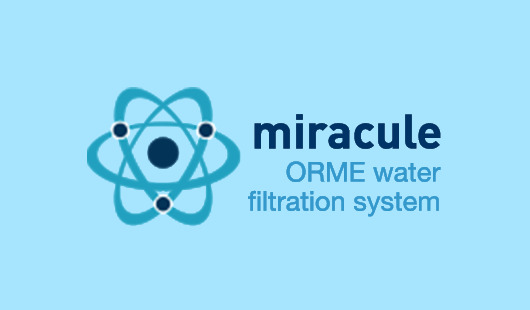 MiraculeWater drinking water processors have 3 filters designed to help remove the Giardia bug from the finished product. Giardiasis is the most frequent cause of non-bacterial diarrhea in North America and in most other places around the World. GIARDIA LAMBLIA, Giardiasis (GEE-are-DYE-uh-sis), Giardia intestinalis, Lamblia intestinalis (as it is sometimes referred to in Europe) are all terms that refer to the same Flagellated Protozoan/protozoa, a single celled parasite just a little bigger than most bacteria in size. Some people refer to Giardia as a bacteria and others as a cyst, but it is actually a parasite. It is found in every region throughout the world and has become recognized as one of the most common causes of waterborne illness. A diarrheal illness of the small intestine caused by infection of the flagellated protozoan GIARDIA LAMBLIA. It is spread via contaminated water and food and by direct person-to-person contact. The parasite is passed in the stool of an infected person or animal. The parasite is protected by an outer shell that allows it to survive outside the body and in the external environment for long periods of time. During the past 2 decades, Giardia has become recognized as one of the most common causes of waterborne disease (drinking and recreational waters) in humans in every region of the United States and many other areas of the world. Organisms that appear identical to those that cause human illness have been isolated from domestic animals (dogs and cats) and wild animals (beavers and bears). A related but morphologically distinct organism infects rodents, although rodents may be infected with human isolates in the laboratory. About 40% of those who are diagnosed with Giardiasis demonstrate disaccharide intolerance during detectable infection and up to 6 months after the infection can no longer be detected. Lactose (i.e., milk sugar) intolerance is most frequently observed. Some individuals (less than 4%) remain symptomatic more than 2 weeks; chronic infections lead to a malabsorption syndrome and severe weight loss. Chronic cases of Giardiasis in immunodeficient and normal individuals are frequently refractile to drug treatment. Flagyl is normally quite effective in terminating infections. In some immune deficient individuals, giardiasis may contribute to a shortening of the life span. Why might one person develop a Giardia infection while another does not even though both were exposed? Chances are that the person who does not develop an infection has a stronger immune system and is in better health due to a better diet and life style like drinking MiraculeWater daily. Ingestion of one or more parasite may cause disease, as contrasted to most bacterial illnesses where hundreds to thousands of organisms must be consumed to produce illness. Normally the illness lasts for? 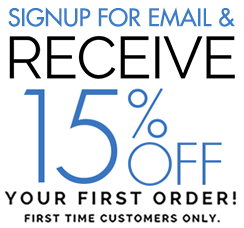 1 to 6 weeks, but there are cases of chronic infections lasting months to years. Chronic cases, both those with defined immune deficiencies and those without, are difficult to treat. Symptoms include diarrhea, loose or watery stool, stomach cramps, and upset stomach. These symptoms may lead to weight loss and dehydration. Some people have no symptoms. How long after infection does it take for symptoms to appear? Symptoms generally begin 1-2 weeks after being infected. How often and who is at risk? Giardiasis occurs throughout the population, although the prevalence is higher in children than adults, possibly because many individuals seem to have a lasting immunity after infection. Chronic symptomatic giardiasis is more common in adults than children. This organism is implicated in 25% of the cases of gastrointestinal disease and may be present asymptomatically. The overall incidence of infection in the United States is estimated at 2% of the population. This disease afflicts many homosexual men, both HIV-positive and HIV-negative individuals. This is presumed to be due to sexual transmission but may also be due to weakened immune systems. The disease is common in child day care centers, especially those in which diapering is done. How does Giardia work to produce illness? The disease mechanism is unknown, with some investigators reporting that the organism produces a toxin while others are unable to confirm that this toxin exists. The organism has been demonstrated inside host cells in the duodenum, but most investigators think this is such an infrequent occurrence that it is not responsible for disease symptoms. Mechanical obstruction of the absorptive surface of the intestine has been proposed as a possible pathogenic mechanism, as has a synergistic relationship with some of the intestinal flora.